Have you ever wondered what a mixed tape from Tom Waits would sound like? Tune into WRIR from 7PM to 9PM tonight to find out! 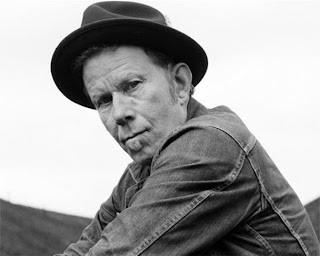 A few years ago Tom Waits gave MOJO magazine handwritten lists of his favorite songs, many of which he considered to be a huge influence on him as a musician. I took his final list of "58 flavors" and tracked down about 85% of the material, placed it in a thoughtful order, and created a whole two hour show from it. I then asked friends and listeners to vote on their favorite Tom Wait's songs and have incorporated those 4 songs in tonight's show too. If you are anything like me and have never considered yourself a huge Waits fanatic, this show just might surprise you. I may not bow to the alter of Tom Waits but that man sure does have some impeccable taste. His influences are all over the place and I have to tell you that his list of songs have opened my ears to better understand and appreciate his own catalog of music. This has turned into one of my favorite Cause & Effect shows of the year!